We founded Inkshares with the goal of creating a social platform that would curate the world's most valuable intellectual property beginning in book form. Less than three years later, Inkshares stories are global and crossing all mediums including film and television. And as a result of this activity, grouped around Inkshares—here on Properties—are the world's most elite producers and foreign publishers. 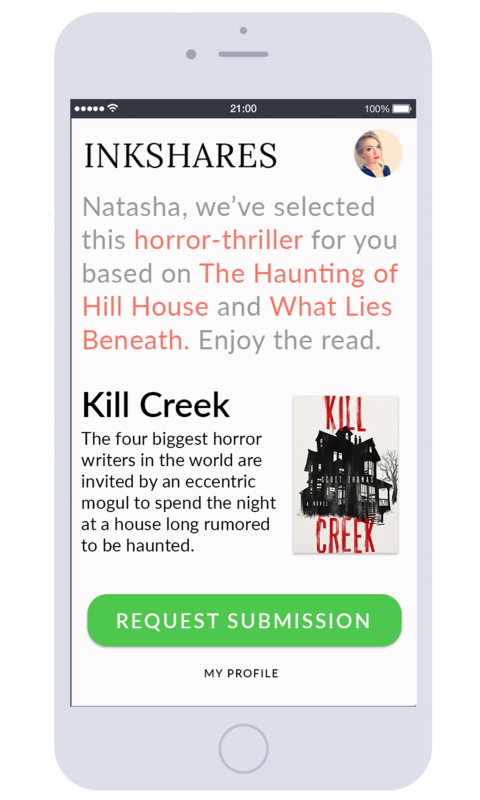 The premise behind Inkshares is curation: not to be the biggest—but the best. And at the heart of Inkshares is a product called Story Machine. Story Machine is a powerful series of algorithms that track all manuscripts on the platform, determining reader engagement and helping to tell us what kinds of stories they are. Story Machine does not replace people: it distills tens of thousands of interactions—by readers—to help us punch through the noise and focus on the stories that matter. The information you provide here will help Story Machine to curate which of our stories may be a match for you. It will also help us to map where you exist in the global story economy so you receive submissions at the same time as other publishers and producers with similar interests.